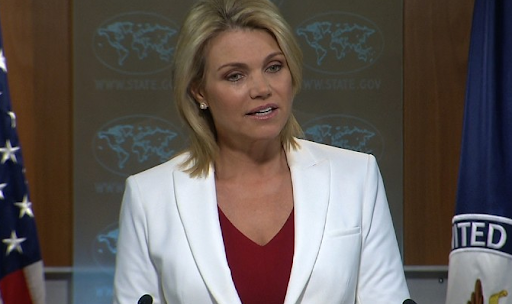 Confirming rumors from a month ago, and following Dina Powell's "not interested" response, President Trump is reportedly set to name State Department spokesperson Heather Nauert to replace Nikki Haley, who unexpectedly announced her resignation in October and promised to serve in her role through the end of 2018, as UN ambassador. Trump had reportedly told aides he wanted a woman to fill the role. Ivanka Trump, the president's daughter and White House adviser, was also touted by Trump as an "incredible" choice for the position, though Trump also said that he would be criticized for nepotism if Ivanka was selected. If nominated by the president, she will face a confirmation by the Senate, which remains in GOP control following November's midterm elections.